Home » Articles » Music » Jason Aldean Heading to Riverbend Music Center! 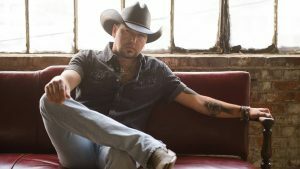 Jason Aldean Heading to Riverbend Music Center! Get ready for an evening filled with live music from some of country’s greatest artists! Jason Aldean brings the High Noon Neon tour with special guests Luke Combs, Lauren Alaina and Dee Jay Silver to Riverbend Music Center (6295 Kellogg Ave Cincinnati) this Thursday Sep 13 at 7:30 p.m. Ticket prices vary and can be purchased online at https://www.ticketmaster.com/jason-aldean-riverbend-music-center-cincinnati-oh/venueartist/180337/984829. Don’t miss this star-studded evening at Riverbend Music Center!